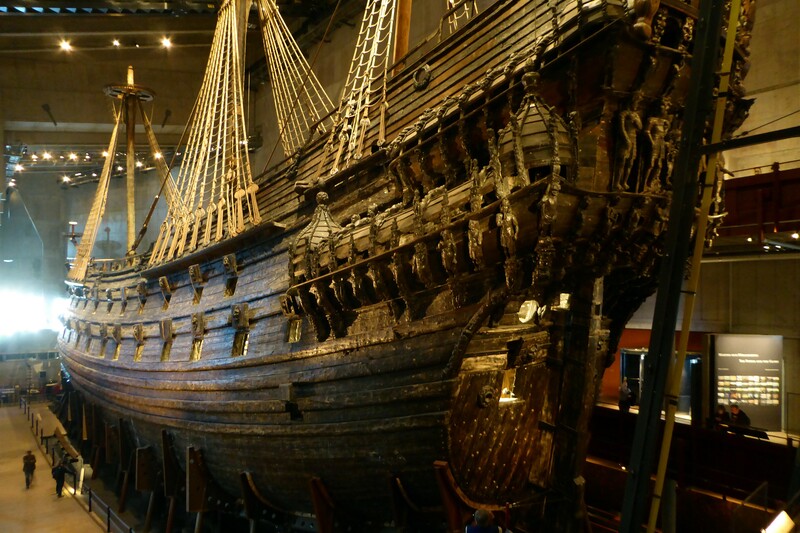 This entry was posted in History, Travel and tagged Vasa Museum in Stockholm, Vasa shipwreck. Bookmark the permalink. Fascinating story. I’m always intrigued by nautical events. Too bad there was no video of the event! Maybe some actual art? The Vasa Museum in Stockholm does have a film with good production values that shows the events of that day back in 1628. I’m not aware of any art done back in the 17th century that documents the disaster; it probably wasn’t something that the king or anybody else would want to commission an artist to paint. It’s an interesting question, though — were there sketches done for the inquest? Are they still in existence? I don’t know. Perhaps your piece inspired the following, which I came across this a.m.
Maybe so, but I’m certainly not the first to write about this very popular museum. One thing the article mentions is that in the investigation after the disaster, no one was blamed. It’s my recollection that they did eventually settle on a culprit — it was one of the ship’s architects or contractors who had died a year or so before the inquest announced its conclusions. In other words, they blamed it all on a dead guy. That’s what I think I learned at the museum, anyway. I have been there. It is amazing! A ship inside. Lovely Baltic Sea. Wonderful archipelago. I would love to see the next one! I miss your blogs!